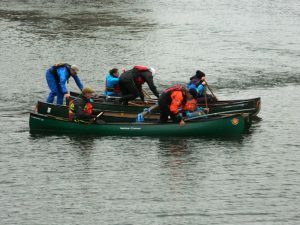 A small contingent from the Midland Canoe Club braved the cold on Sunday 13th January, to assist the Derby and Sandiacre Canal Trust with depth-gauging the section of the River Derwent from Darley Abbey down to the centre of Derby. Having undertaken the fact-finding mission, the project coordinators were pleased to find that the Derwent is deep enough for an electricity-powered canal narrowboat to provide cruises from the Silk Mill in Derby, all the way up to within 300m of the weir at Darley Abbey. The result of this latest exercise was that one small 30m section of the river would need dredging to get them further up to the island. 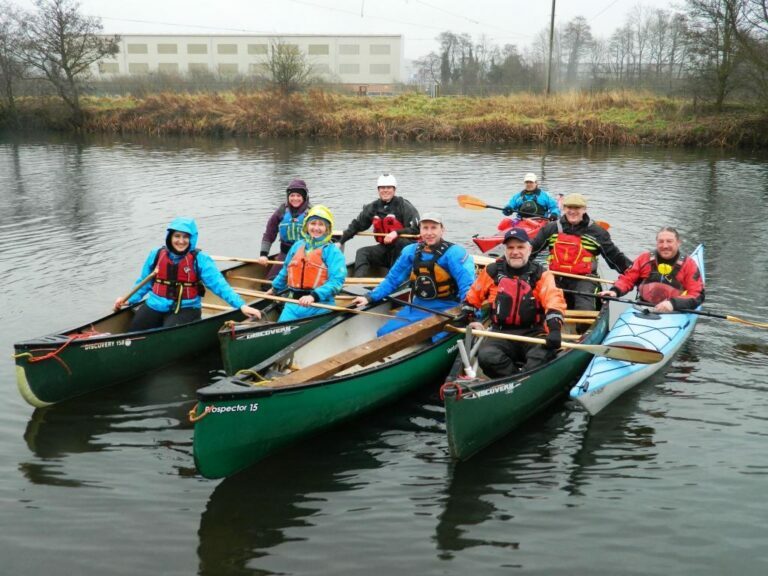 This was the second time the Midland Canoe Club have helped on this large, canal restoration project, following last year’s depth-measuring exercise from Derby city centre down to Alvaston. Club President and Trustee John Chamberlin said “We were delighted to once again help with this important project that can keep our canals fit for purpose.